You’ll be astounded to know that approximately millions of plastic bottles are discarded on a daily basis. This amount of non-biodegradable litter takes a huge toll on the sustainable environment. Get to know the other environmental problem our Earth is facing and how to be a helping hand. But as it is said, every discarded material is a treasure – once you start looking for it! Plastic bottles are easy to recycle and reuse. Dress up those junk plastic bottles to make something awesome and useful. Let’s be a little less burden on mother nature and express creativity with these plastic bottle craft ideas. So next time, when you’re done drinking from that plastic bottle, instead of trashing it, transfer the bottle from nothing to everything fancy and useful. Vertical gardens are a great solution for modern living where space is a huge problem. These old plastic bottle craft can be hung on any empty wall to create a garden. Sure, it is time-consuming but the results are worth the efforts. Pick strong, durable plastic bottles which can hold the soil weight. Plant small herbs like oregano, mint, basil, cactus, bonsai to brighten up the garden. These beautiful modern day garden ideas will only enhance your garden space to a lit green place. Another awesome and easy plastic bottle craft idea is to make a birdhouse. Give those tiny little creatures some place to rest in your garden. Carefully cut the base and neck of the plastic bottle. Make a small entrance at the neck and join the parts. To make it more decorative and attractive, pick a colour scheme and paint the house. Hang them where the little birdies visit a lot. When your garden is amazing, those little birdies will visit it daily, check these succulent arrangements for more ideas. 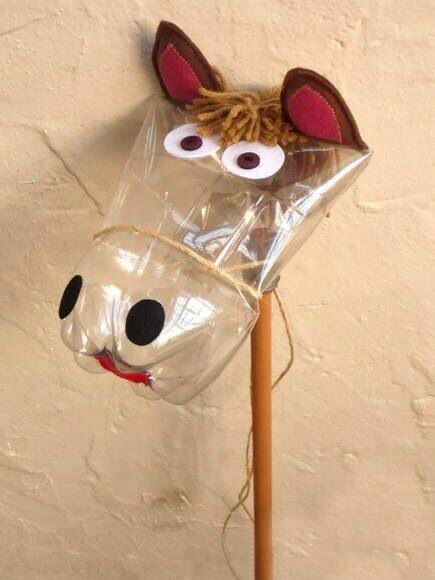 Not only it is recycling plastic bottle craft but encouraging your little kids to save. Make a piggy bank with your kid using old trash plastic bottles. Be a little creative and cutting expert to make cute little animals like pig, cow, penguin to make a coin storage. Paint an abstract art to unleash your creativity and free time to something beautiful and productive. Is it just me who finds magazines, paper and newspaper in every corner of the house? This problem can be solved in the cheapest and efficient way possible. No need of buying expensive holder when you can use plastic bottles. Cut the neck of the plastic bottles to make the bottle’s body a storage unit. Magazines always remind me of shopping with friends, learn what friendship is all regarding! 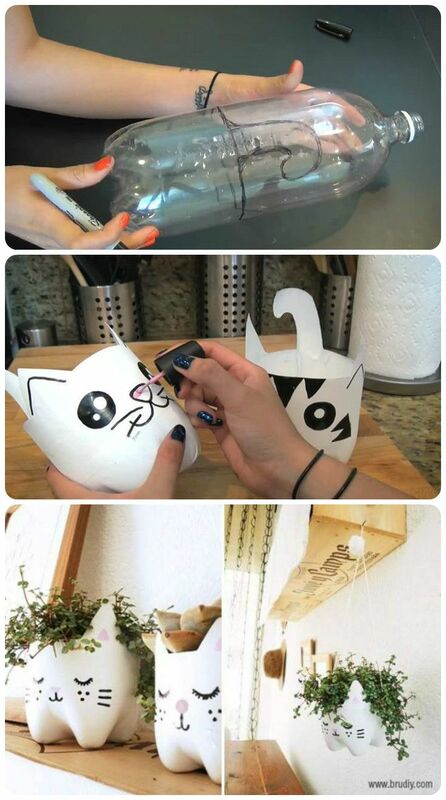 Feed your little fur balls with a cute plastic bottle craft pet feeder. Plastic bottles are easy to mould, cut and shape. Make a tray from a strong, durable plastic bottle for your furry friend. Plastic bottles are considered the best storage unit. Flaunt a cute little puppy claw tattoo or cat’s tail on your feet, to shout out your love for your little pet. Turn your plastic bottle into a cute planter for home decor and of course for nature. Making a planter is extremely easy, just cut the bottle top and plant your seeds in soil. Be creative while making your planter, you could paint a monster or halloween ghost for an extra addition to home decor. This is such a beautiful plastic bottle craft to hold up all your small accessories like earring, rings, bracelets. Have your small vanity with trays of plastic bottle base. Cut the bottle base and hold the trays through a rod between them. Trust me, it is so easy to make and doesn’t even take time. Spending time on something creative is a great way to quit bad habits and get rid of those bad urges. Time to collect those bottle caps from your home, neighbours and friends. If you have been recycling those plastic bottles don’t trash away from the bottle caps. Everything can be turned into something beautiful and useful. Gather all those bottle caps to make a mosaic painting. Paint the caps to make your own plastic bottle craft. Get a little fancy while serving the snacks to the guest. 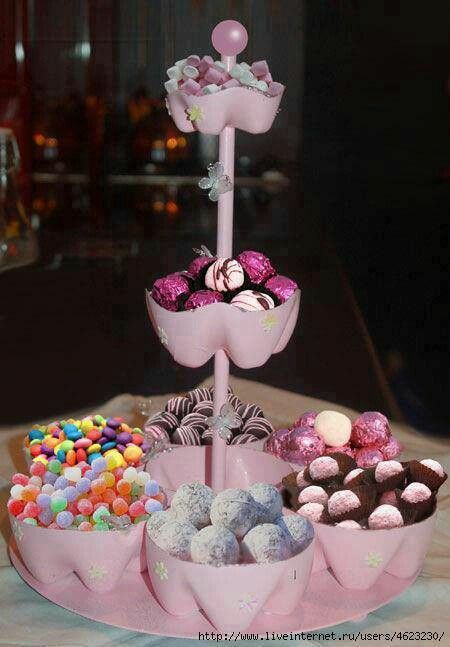 Give the bottles nice shaping to transform into some useful snacks serving dishes or candy holder. You can always use a hot iron to soften the edges and paint to make it more attractive. Learn how to have a minimalistic lifestyle in the smartest way possible. Recycle old plastic bottles to a beautiful glow in the dark bedside lamp. Have a galaxy themed bedside lamp placed in your kids’ room. A dark painting lamp with exploding stars and sparkles just like in the universe. If you have big plastic bottles, place a starry light inside it and paint it to make a chandelier hanged near your bed. Do you know the pros and cons of solar energy? You never know the number of possibilities of making fun and useful plastic bottle crafts. So before you trash, your next plastic bottle think of the opportunities of repurposing these plastic bottles in your next project.